It's so wonderful to get to the end and be happy with what you created! 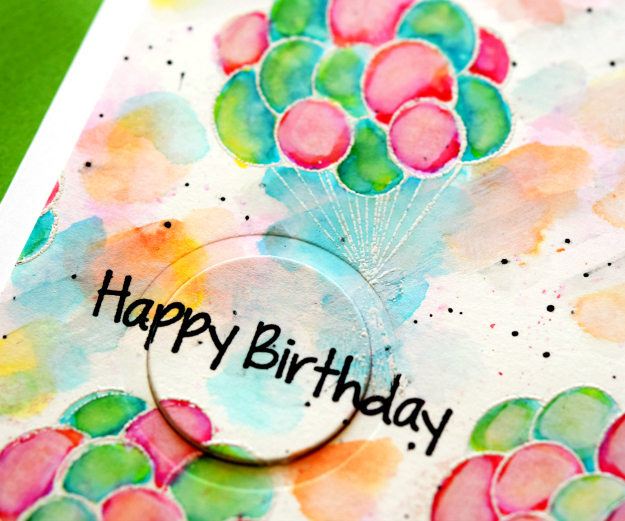 :D Love your sky full of beautiful watercolored balloons Joan! Gorgeous background! Dang, your watercoloring with the Tombows is awesome. Interesting how you washed over with the dilute white acrylic paint. I also love how you did the popped up circle at the sentiment. I'm glad it was fun to make! Awesome colors and design on this one, Joan!! This is an awesome card! I really love this one. Joan, I just love this! The way you did the sentiment is fab. 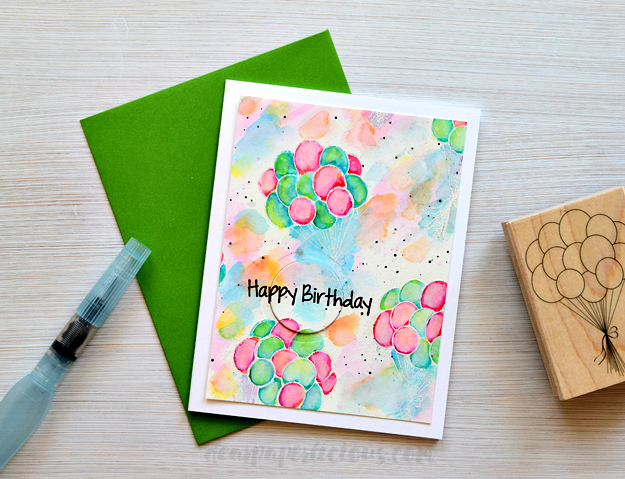 The light airy feeling from the white embossing is so perfect with the balloons.